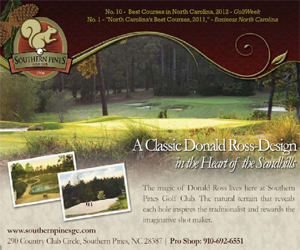 Take our Sandhills Survey to WIN! Traditions Magazine is always looking to enhance our reader's experience....and we're willing to bribe you. Basically....we would like to know what you would like to see in our book. By telling us what you like the most and who you think are the best in our area....we learn who to partner with for future editions. These surveys give us vital information for making the best version of Traditions Magazine possible. To reward you for your informed opinions.....we would like to give you a chance to win a special prize from one of our sponsors. 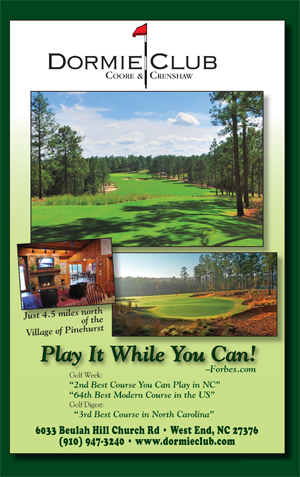 For this survey we are offering various golf vacations to numerous Golf Resorts throughout the Carolinas. Everyone who submits a Sandhills Survey will be in the running to win the prize..the winner will be chosen by random drawing from all entries at various times throughout the year. Good Luck. What is your favorite Area Golf Course? What is your favorite area Golf Shop? What is your favorite area Bar or Pub? What is your favorite local Place to Shop for Clothes? What is your favorite local Par 3? What is your favorite Sandhills Community Event?